The Deshedding Gloves includes 180 mild rounded silicone recommendations, mimic the touch of one's hand to eliminate free pet locks. 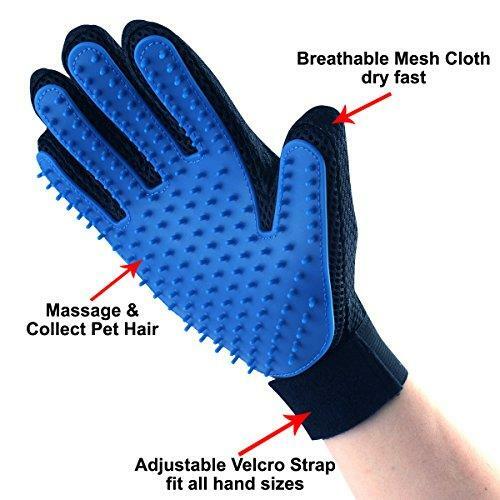 Pet grooming glove for both dry and wet usage can offer your dog with a calming and enjoyable therapeutic massage when you groom pet locks to offer them a shiny look which help animals to just take a shower for completely clearing up using this wonderful glove. Soft touch animal deshedding glove consists of soft skin-friendly materials, which could offer your love pet comfortable massage with no problems for their epidermis. 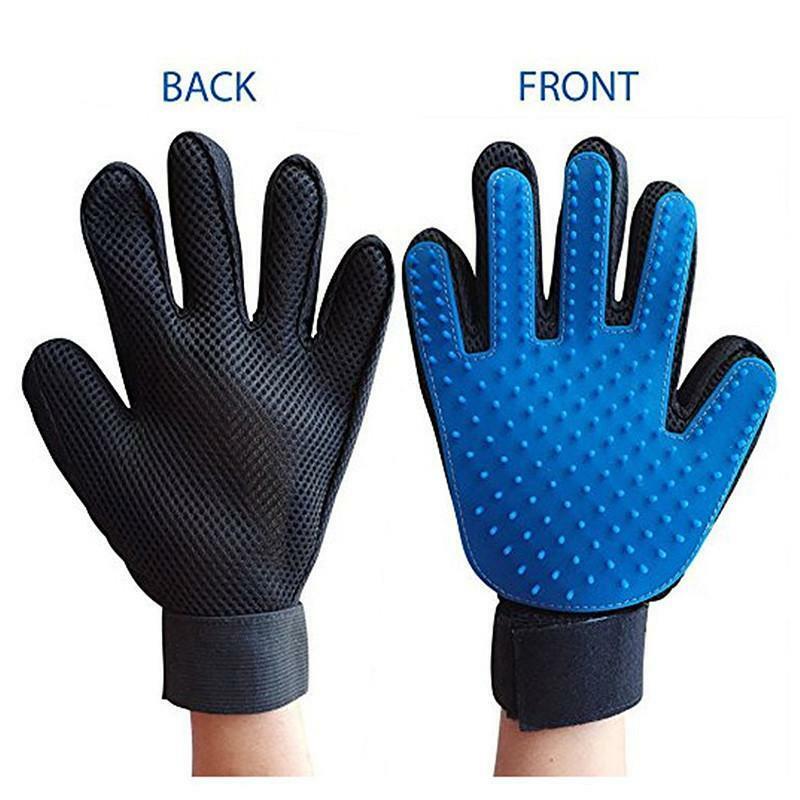 5 fingers design pet gloves have specific sections for every finger, allow you to reach all of the places hair hides behind animals’ feet, under their upper body, in their tails and around their face, your furry friend will relish the full body therapeutic massage and think it’s great.